Lots of fun going on at Sweet Shoppe today! Be sure and check out all the games and prizes in our forums! And join me tonight in the Sweet Shoppe chat room at 8pm EST for more prizes! I couldn't let the day pass without lots of brand new goodies on the shelf. Today only, our entire store is 25% off, so check it out! Images are clickable. First up, now that Halloween is over, it's time to break out the Christmas kits, right? 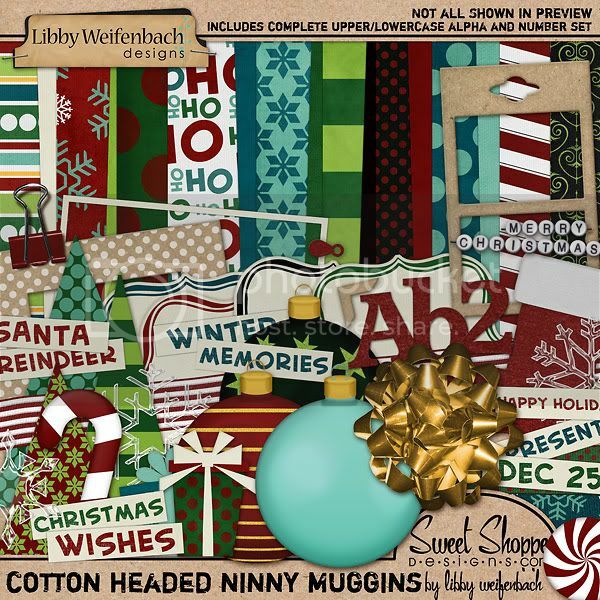 ;) My first Christmas kit of the season is Cotton Headed Ninny Muggins, and it's full of bright colors and fun elements. And if you're looking for a fast and easy way to take care of your Christmas cards this year, I have just the answer. 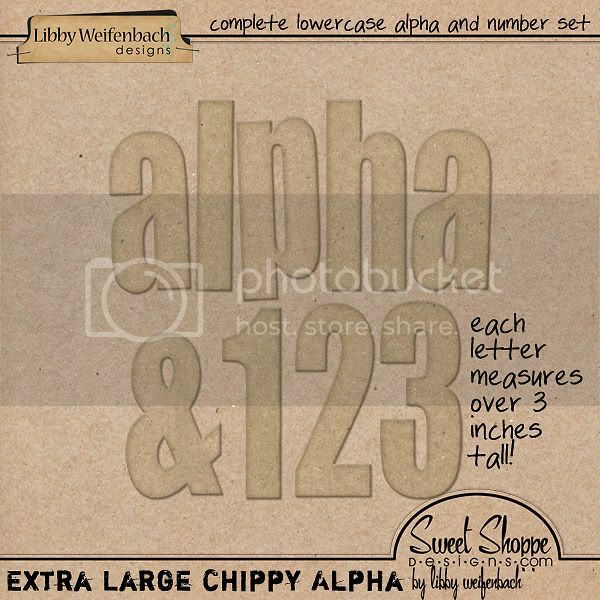 By request, I am also offering my Extra Large Painted Chippy Alphas in more colors! These huge alphas stand over 3 inches tall, and each is saved in individual PNG files. Also available in plain chipboard. As we prepare for our big move to XCart, we are clearancing out a lot of goodies! Along with all of my hybrid albums, I'm retiring Hey Hey Baby with Amanda Heimann as well as I Wanna Be a Rock Star with Traci Murphy. These 2 collabs will never been seen again. 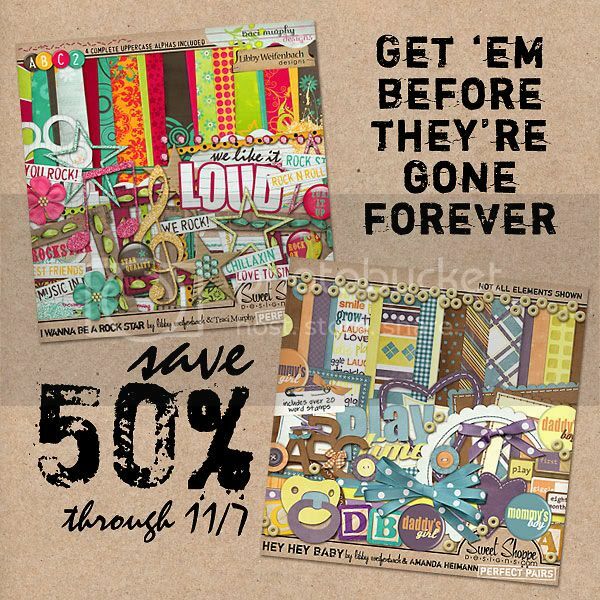 Get them this week only at 50% off before they are gone for good! And finally, before I close, here are a few pages from my amazing CT using Cotton Headed Ninny Muggins. They're sure to inspire! 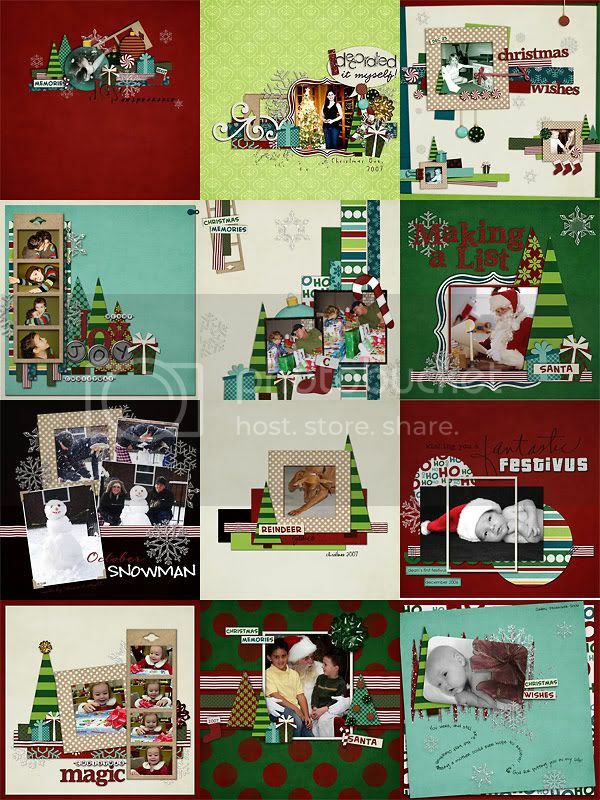 Love all your kits and pages posted! LOVE your new banner too Libby!